All good things must come to an end and for the folks at General Motors, November 2012 brought about an end to the 9 month long beating that the Chevrolet Volt has handed the Nissan Leaf in the battle of the mainstream electric vehicles – although the electric Chevy still has a massive lead in overall 2012 sales. In November 2012, Nissan delivered 1,539 units of their Leaf electric vehicle while General Motors sold just 1,519 examples of the Chevrolet Volt. This margin of 20 sales units marked just the second time during the 2012 calendar year where the Leaf managed to best the Volt in sales after Nissan started the year by sending out 73 more examples of their Leaf than GM delivered Volt electric sedans in January. November was the second best month of the year for the Nissan Leaf while November was the Chevrolet Volt’s 4th worst stanza of 2012. Coming into November, the Chevrolet Volt had lead the American electric vehicle market in 9 of the first 10 months of 2012 with the Nissan Leaf winning only the first month of the year when the Volt posted its worst sales figures in this calendar year. Not only did the Chevrolet Volt beat the Nissan Leaf in every month from February through October, it did so very badly with some months having the Volt outsell the Leaf by a margin of worse than 4 to 1. The good news for General Motors and fans of the Chevrolet Volt is that with 20,828 units sold during the first 11 months of 2012, there is no way that the Volt will fail to win the electric vehicle sales race for 2012. Just 8,330 copies of the Nissan Leaf have been sold in 2012 so with a deficit of 12,498 units, Nissan really has no hope of catching the Volt without some sort of miracle. Provided that no Nissan miracle happens, the Chevrolet Volt will claim its first full year sales title – evening the score at 1 to 1. Nissan outsold the Volt in 2011 by the score of 9,674 to 7,671 so while General Motors has more than doubled their Volt sales in 2012 – Nissan will have to post one of its best months of 2012 just the reach the sales figures seen by the Volt in 2011. Considering that November was one of the Chevrolet Volt’s worst months of the 2012 calendar year, I am looking forward to seeing how the electric Chevy bounces back in December. In the northern US states that face very cold winters, all of these electric models (and traditional hybrids) have less range as the batteries are negatively impacted by the cold. Because of this, sales of electric vehicles generally dip during the winter months – which is supported by the November sales drop for both the Leaf and Volt. The Volt has averaged 1,893 units sold per month from January through November and should they hit that average number in December, GM will end up selling roughly 22,700 electric Chevys this year. Nissan currently has an average of just 757 copies of the Leaf delivered per month but considering that they have been well above that number each of the past three months, we can expect that the Leaf will finish the year strong. Should Nissan deliver 1,500 Leaf EVs this month, the company will at top their numbers from 2011 but that comes as a very small victory considering the number of EVs sold by GM this year. It will be interesting to see how the sales of the Chevrolet Volt and Nissan Leaf continue as we head into the 2013 calendar year with new segment entrants like the Ford Focus Electric, the Fiat 500e and the Chevy Spark EV – along with new hybrids with extended pure electric driving ranges – will likely cut into the numbers of both the all electric Leaf and the extended range Volt. The biggest “problem” for both of these models could be the introduction of new, more compact electric vehicles like the Chevy Spark and the electric Fiat that will offer significantly lower starting prices than the Volt and Leaf. The Volt is not an electric vehicle. Please stop trying to pretend it is. It is a plug-in hybrid like the Prius. The Leaf will clearly be the EV sales leader for the year. If you are going to write an article, get your facts straight and quit twisting it to your own agenda. I have a volt and i would consider it an electric vehicle.....just because it has an extended range that the leaf lacks does not mean its not an electric vehicle.....Its a wonderfull car and i applaud a north american automotive company that developed this vehicle.Thanks GM and congratulations on being number 1. Walk around your car - does it have a place to put gasoline? Yes? Then its an electric-hybrid car. You can "consider" it electric if you want, but it doesn't change the fact that it is an electric-hybrid. You might even consider it a unicorn - you would have the only one in town. Okay, call it an electric-hybrid car. Key point... i have not had to fill up gas in since the day I bough my Volt back in May. Comparing the Volt to a Plug-in Prius is not an accurate statement either since the range on the Prius's battery before fuel is consumed is about a 3rd of what the Volt has. For my Volt, I have enough electricity per day to get me to my normal activities without fueling for over 6 months. Please stop bashing a car that has been a game changer to the automotive industry. Not to be judgmental, but you are only proving your ignorance. Please do not respond since I will not be monitoring these forums, but felt like I should voice/defend a great vehicle. Considering that my Volt burned a total of .5 gallons of gas last month to travel over 1200 miles it must be some really special type of "hybrid." A person who really understood the power train engineering would understand that the Volt is only a "hybrid" in some strange universe where the only definition of hybrid means dual-fuel auto. It is propelled like no other vehicle at present: Electric drive with gasoline powered backup range extender generator. It cannot run without electricity being present. The unicorn comment is the most intelligent part of the commentary. There is in fact no other drive system like the Volt. 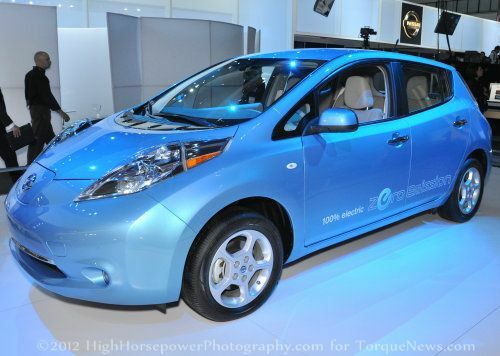 Not being "fully electric" does not make it like any other "hybrid." The electric drive motor does not assist the gasoline engine like other hybrids. You cannot invoke the gasoline engine to assist the electric drive by pressing on the accelerator Even when the gasoline engine is running it takes and extraordinary confluence of events to ever get the gasoline engine to engage the drive train. In truth it is far more similar to a fully electric vehicle than it is to any operation of what the automotive industry calls hybrid vehicles. Go ahead, drive any other "hybrid" 1200 miles on one half gallon of gas. Then you will understand that the Volt drives on electricity until it needs more electricity generated by a gasoline engine. No other "hybrid" could ever accomplish what the Volt can do effortlessly. If it has a gas tank, it is a hybrid! The volt is a hybrid about as much as anything with 4 legs is a chair. Then the same logic follows. If it has 4 wheels and a gas tank it must be a car. Let me introduce you to my Sears lawn car.